Walrus | Make the most of your card cloning devices. Make the most of your card cloning devices. 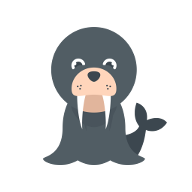 Walrus is an Android app that enables you to use contactless card cloning devices with your Android device. Using a simple interface in the style of Google Pay, cards can be read into a wallet to be written or emulated later. Designed for physical security assessors, Walrus has features that will help you in your next red team engagement. Check out our roadmap to get a sneak peek of what’s in the pipeline! Check out the Getting Started page! Check out our GitHub repository!